The company's stock price has appreciated at a compound annual growth rate of 18.3 per cent, the lowest among all industry peers. India Cements shareholders, it seems, have paid a heavy price for the cricketing exploits of the firm's vice-chairman & managing director, Narayanaswami Srinivasan. His rise to the top of the Board of Control for Cricket in India (BCCI) and his team's success in the Indian Premier League (IPL) have coincided with a decline in India Cements' fortunes. Once South India's largest and the country's fifth-largest cement maker, India Cements has slipped to the third place in its home market - behind Madras Cement and Chettinad Cement. Having failed to take advantage of the cement growth story, the company is now among many small and regional cement makers. The company's profit after tax for 2012-13 (after extraordinary items) stood at Rs 201.40 crore (Rs 2.01 billion), 26.5 per cent less than that the previous year, on Rs 5,159.47 crore (Rs 51.59 billion) worth of net sales (11.4 per cent more than the year before). While its total income rose 11.3 per cent to Rs 5,183.29 crore (Rs 51.83 billion), profit before interest, depreciation and tax, at Rs 960.09 crore (Rs 9.6 billion), was 0.4 per cent less than in 2011-12. Image: BCCI President N. Srinivasan speaks to the media during a news conference. Analysts squarely put the blame on the promoters and the management. "There is lack of focus and purpose in the top management and the company seems to be in a drift. 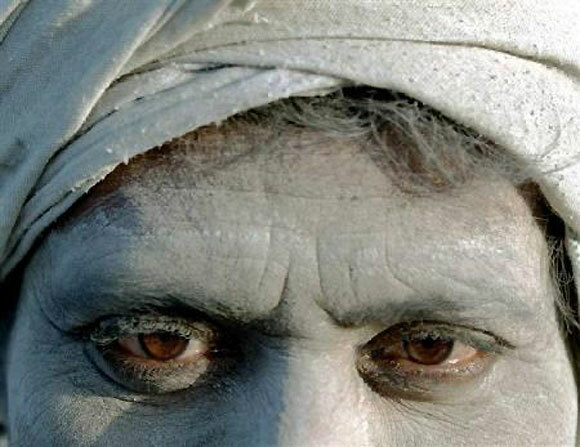 There is misallocation of capital and investment has not been coming for the right projects at the right time," says a cement analyst at a leading broking house, on the condition of anonymity. He also points to the capital advances given to unlisted subsidiaries. At last count, the company had Rs 2,372 crore (Rs 23.72 billion) of outstanding loans to its subsidiaries and associates - this has more than doubled in the past four years. Analysts contend that these high advances could have either been employed in the business or invested in financial assets to boost other income (which in 2012-13 dropped 56.4 per cent to Rs 4.58 crore, compared to the previous year). V Srinivasan, analyst, power and cement, Angel Broking, says: "The advances to unlisted arms is a cause for concern. These funds could have been put to better use within the company." Analysts seem to have a grim view of the company: "There is no suggestion that the drift is coming to end anytime soon," says an analyst. Increasingly, many brokerages have begun to drop the coverage on the stock as investors' interest dries up. The view is echoed by executives of rival cement firms. "Srinivasan and his family members have been beaten by the glamour of cricket, leaving the task of managing the company's day-to-day affairs to junior managers. 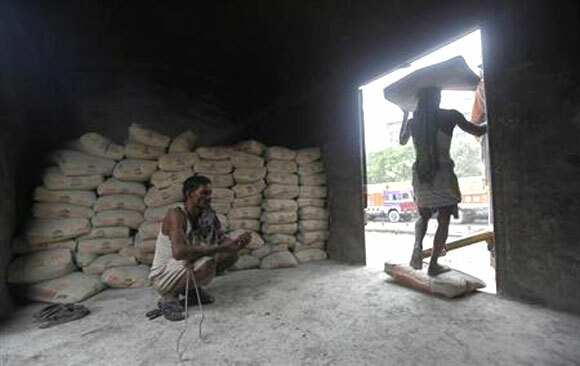 What else can you expect in such a situation," says a director of a rival South India-based cement maker. Another culprit is the old and inefficient plants of India Cements that are yet to modernised, unlike those of other cement majors. Total promoter holding in the company was 28.3 per cent as at the end of March 2013. There's no doubt South India-based cement firms face tough market conditions, but India Cements has lagged on return on equity, too. At 7.5 per cent in 2011-12, it had the lowest RoE in the industry. By contrast, Madras Cements' RoE was 20 per cent and ACC and Ambuja Cement's 17 per cent. As a result, the market valuation of the company has tumbled. Ambareesh Baliga, managing partner, global wealth, Edelweiss Capital, says: "India Cements has hardly delivered any shareholder value in the past four years and, going by the current controversies, it's not going to go anywhere." By contrast, N Srinivasan seems to have a far more successful stint at BCCI. In the last two years for which numbers are available, BCCI has increased its net surplus to Rs 382.5 crore (Rs 3.82 billion), an increase of over 500 per cent. Image: A labourer prepares chewing tobacco inside the wagon of a train as his colleague unloads cement sacks at a yard in Kolkata. On the other hand, shareholders of India Cements have seen wealth creation on their investment in the stock (adjusted for inflation and the underlying market performance during the period) at a pace much slower than peers. In last ten years beginning January 2003, the company's stock price has appreciated at a compound annual growth rate of 18.3 per cent, the lowest among all industry peers (except Kesoram Industries, which has been bogged down by losses at its tyre division). In comparison, the BS Cement index gave annual returns of 28.7 per cent during the period, while Sensex gave 20 per cent annualised returns. Most key cement makers did much better. ACC, for instance, delivered 25 per cent return and Madras Cement provided 30 per cent. The bad luck of India Cements shareholders looks even worse when compared to companies like Shree Cement that started as small players but went on to become bigger, more profitable and many times more valuable than their once bigger peers. 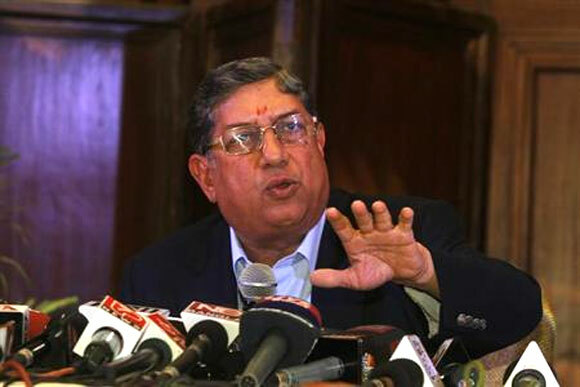 Even as India Cements was suffering during this period, Srinivasan was steering the country's most important game - first as the president of Tamil Nadu Cricket Association, then as the secretary of BCCI, and as its president since 2011. He also owns Chennai Super Kings, the most successful IPL team so far since the tournament was launched six years back. Captained by Mahendra Singh Dhoni, India's most successful captain, CSK has played five of the six IPL finals and has been winner twice - more than any other team. This has brought him fame and made him the most important person in the Indian cricket circles today. India Cement shareholders would, however, not be too happy with his cricket exploits. On Wednesday, BCCI chief N Srinivasan faced pressure from within the board to step down. Two heavyweights -Rajeev Shukla and Arun Jaitley - asked him to "disassociate" himself from the inquiry proceedings against his son-in-law and IPL franchise CSK. He, however, continued to brush aside all such demands. 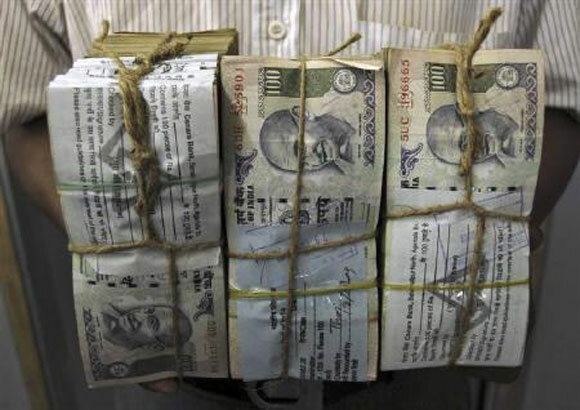 Image: An employee carries bundles of Indian currency notes inside a bank in Agartala.